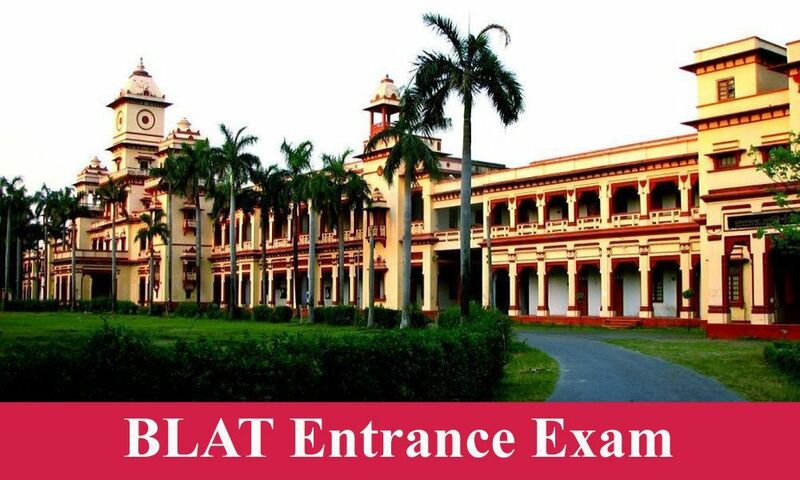 The question law aspirants often face is that should they go for Best Law colleges of 5 Year Integrates LLB program in Banaras Hindu University or Jamia Millia University or Indraprastha University. One gets great research facilities at BHU and students are seen doing research work in the fields of Taxation, Constitution, Personal laws, IPR, International law and many other subjects. These research papers are submitted and published in a law journal of the college and eminent Indian and foreign scholars contribute to the journal. The college was the first college ever to think of clinical legal education and legal aid for the poor. The college's model of clinical legal education has been rated as the best one to ever be seen in a law college. The college is also one of the few to have introduced community oriented courses such as law and environment, law and country and town planning, law and poverty, law and population, law and animals. The college has a moot court team and participates in moot courts and this is on the lines of the best law colleges in the country. The college takes part in national level moots and there are intra class moots for practice. These moot court events are on the lines of the moots of some best law schools in the country. Eminent scholars from India and abroad participate in seminars and conferences organized by the college. This is in addition to lectures given by famous personalities in the field of law. The college organized the first of its kind ever national law reform competition organized by a law school and which was unlike any event organized by the best law schools. There are hospitals, multiplexes and restaurants within 5 kms of the college which makes life easier for college students on campus. Plus there are banks nearby as well which helps students because they no longer have to travel great distances for day to day needs. The college has separate hostels for girls and boys, a gymnasium for health freaks, and 24*7 electricity and water supply. There is a well stocked library and a well equipped computer lab. The cafeteria is good too. The college organizes legal quizzes and theatre events as well. The colleges is located in the vicinity of the SC and Delhi HC. There are many tribunals and international organizations in the vicinity as well. Moots here are a part and parcel of the college life just like at any other good law school. Besides regular lectures by college faculty there are also seminars and guest lectures from eminent personalities in the legal field. Plus there are personality development classes which helps students gain confidence and become more energetic along with improving their communication skills. Not only are the regular classes quite good but for the overall and holistic development of a student the whole batch is taken for industrial visits and for excursions. Moots here are an integral part of the curriculum just like it is at any other good law college of repute. Basic medical check-ups are done at college and for major emergencies there is a nearby hospital in the vicinity. 90% of the students from Chandra Prabhu Jain college get placed. Farwell parties at this college are grand and there is a cultural fest with competitions in the field of debates, mehendi, dance and music. The college takes great care when choosing the faculty and that resonates in the good career of its students. The guest lectures are conducted by eminent personalities in the field. Seminars and conferences are part of the regular life on campus. The moot court competitions are an integral part of the course and the students take part in national level moot court events on a regular basis. There is an annual sports fest with events such as tug of war, and judo also being included. The indoor games include table tennis, ludo, chess and carrom. There is a huge and well stocked library. As a part of the curriculum the students are taken for visits to district courts, the HC and the SC. The campus is very green and located in the vicinity of two metro stations so that not much time and money goes into travel. The best part is that the campus is friendly for physically challenged with ramps and elevators. The class rooms are ergonomically designed and are designed in a way that they are complete with LCD projectors and audio visual aid. The library is pretty good with around 7000 volumes and the college has a membership of Manupatra. The library holds the elite membership of British Council Library and American centre library something which is not found in many law schools counting the best law schools as well. The lab can accommodate 100 students. Not only is the internet speed great in the lab but the whole campus is Wi-Fi. The conference room can seat 60 students at a time and is fully AC. The auditorium is equipped with a LCD projector and audio visual aid. This auditorium is where all group discussions, extracurricular, and presentations take place. It can seat 400 students at one time. The morale of the students here is always high because this college makes sure that holistic development of students takes place and not just academics are taken care of. The various events which the college conducts as a step forward in this direction are debates, quiz competitions, painting and Rangoli events, annual day, fresher's party and teacher's day. The college has an active placement committee which takes care of placements every year. Under this scheme the students are given free books which they can retain for the whole semester. The students do not have to pay for these books. The college provides free legal aid to the poor through its legal aid cell. The college has a history of organizing and participating in a rich variety of events besides just academics and related events which makes the students look forward to showcasing their talent. These events cover art and craft, writing events, theatre, quiz competitions, Model United nations, sports events, and seminars and conferences. The college has a court for basketball, football and cricket. To encourage students to lead a healthy life there is a gymnasium. There are 15000 volumes consisting of 1100 titles and 70 journals and periodicals. The college has subscribed to 51 journals and law reports along with 19 weeklies and magazines and 8 newspapers. The relevant databases are also subscribed to in order to facilitate legal and non legal research. The University makes sure that students organize and participate in national level moots. These are the major points on which one should ideally judge a law school. We have listed all the major facilities at each of these universities and now you can take an informed decision about which law school you should join when you are thinking of a 5 year law program.